Shane is a writer and script supervisor for the Emmy Award-winning stop-motion series Tumble Leaf from Amazon Studios as well as the writer & co-creator of Moonlight Storytime for Houghton Mifflin Harcourt's Curious World app. 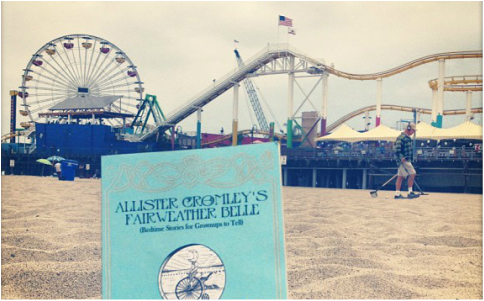 He also wrote the book Allister Cromley's Fairweather Belle (Bedtime Stories For Grown Ups to Tell) and cut his teeth on the windy streets of Chicago's improv and sketch comedy scene. Full bio. Winner of 9 Emmys, 3 Annies & an Annecy Award. Created by Drew Hodges and Bix Pix Entertainment and produced by Amazon Studios. ﻿Official selection of the 2016 Annecy International Animated Film Festival. A collection of bedtime stories, following an introverted adventurer, with the intent of bringing adults back to their childhood feelings of wonder.